Wow. I know that guy. Well, knew him. He totally died after a horrible bout with cancer last year. For real. That's so random, I knew him too. He was a really awesome guy. 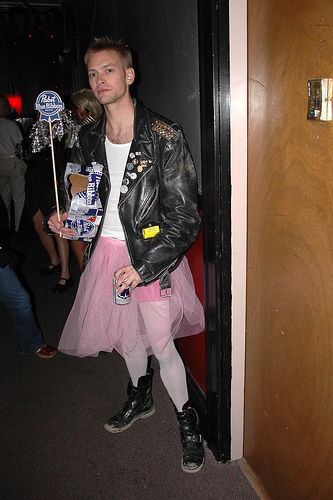 frankly any guy that can look that good in a pink tutu is a person I would love to meet at a party. Is that Toxie before the accident?